If you are hooked on #vanlife, Jucy Rentals is sure to be on your radar. The iconic green-and-purple van rental company likes to make renting an RV easy, and now they offer door-to-door delivery. Jucy Rentals began in New Zealand and the brand has translated well in the West, where they have been in operation since 2012. 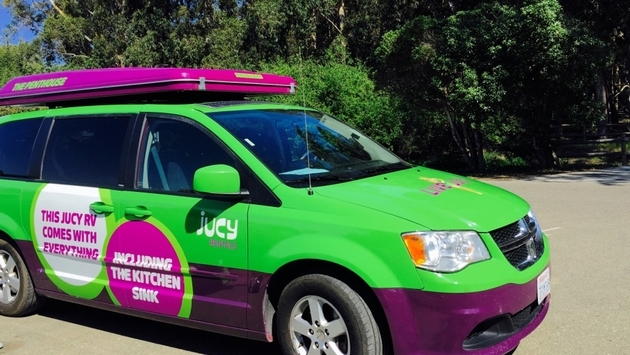 One of the keys to Jucy’s success is its convenience and simplicity: Its rentals are converted minivans, so there is no special skill or licensing involved for travelers who want to get out on the open road. Just because they are compact in size, however, does not mean the vans don’t have everything campers need. Vans sleep up to four people: two in the “penthouse,” (a pop-up tent stored on top of the van), and two inside the van on a convertible bed. There’s a kitchen in the back and, just like it says on the side of the vans, they really do hold everything and the kitchen sink. 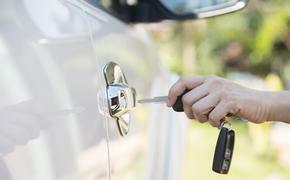 In the trunk, travelers have two stoves, a refrigerator, sink, utensils and more. There’s even a DVD player. Jucy will also provide customers with bedding and any other gear (GPS, camping chairs, etc.) you need along the way. On a recent Jucy journey, we easily slept four people in the van and had plenty of room for storing our stuff. It is just like driving a minivan and much easier to handle than a full-size RV. They are also more fuel-efficient, allowing travelers to go farther for less — a big win if you are paying for gas in California. Get to know the full Jucy experience and see it in real life.